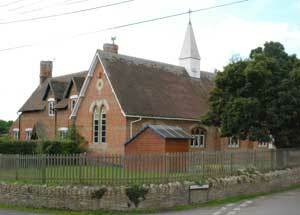 Stoke St Gregory Primary School is an important part of our community. The school serves the community by providing an education of the highest quality within the context of Christian belief and practice. It promotes Christian values through the experience it offers its pupils and works closely with both the C. of E. parish of St Gregory’s as well as the local Baptist parish. Our school is currently divided into 4 classes, 4-5 year olds (EYFS) in Reception Class , the 5-7 year olds (Years 1-2 ) in Class 1 , the 7-9 year olds (Years 3-4) in Class 2 and the 9-11 year olds (Years 5-6) in Class 3. The pupils are taught by 4 full time teachers, as well as a Music teacher who works across all the year groups as we believe music and the arts help develop valuable skills that can be used right across the curriculum. The education offered at the school aims to develop the essential skills of oracy, literacy, numeracy and science in the context of a broad and balanced curriculum and to use these skills effectively in imaginative and creative contexts, including use of information technology. We aim to help our pupils develop lively and enquiring minds and the ability to question, reason and to apply themselves to tasks and physical skills in an independent and confident way, so they will move on into society to make their own full contribution. We encourage everyone to have the highest expectations of themselves and others and to strive for excellence always with a positive attitude. We try to work within a community where every person matters and has a contribution to make to the common good. We expect everyone to respect other people, different opinions, ways of life and backgrounds and abilities. This means that everyone in the school should treat each other with consideration and have a sense of shared ownership towards the school and its environment and the village we are situated in. We value tolerance and flexibility, compassion, co-operation, responsibility, thoughtfulness, honesty, politeness and punctuality. The school has a reputation for excellent pastoral care as demonstrated clearly by the judgements made by Ofsted. Visits to the school, discussions with staff and the children will show the confidence and happiness of the children, which again is crucial to the overall ‘quality of education’. Many larger schools seek to replicate the character, values and community of the small traditional village school. Here at Stoke we know we have the real thing.